The Honors Student Handbook is a valuable resource for both first-year and continuing Honors students. The Handbook is currently under revision. Please see Honors Program staff for questions. How do I get into the Honors Program as an incoming first year-student? All students must submit an Honors Program application, in addition to the Wright State University admission application. Students must be admitted to the University in order to be considered for admission to the Honors Program. First-year admitted students who meet the minimum admission criteria may be mailed a pre-approved application during their senior year of high school. Can transfer students join the Honors Program? Transfer students may join the University Honors Program if they have a 3.0 GPA and sufficient Wright State Core courses left to complete a General Studies or University Honors Scholar designation. Students who have completed all or most of their Core courses may be eligible to complete a Departmental Honors program. Consult an Honors Program advisor for more information. The Honors Program accepts transfer Honors courses from institutions that are members of the National Collegiate Honors Council. What do I have to do to stay in the Honors Program? To remain in good standing in the Honors Program, students must maintain a cumulative GPA of at least 3.0. Students must also make timely progress toward completing Honors Program requirements, which generally means completing the six required Honors General Education courses during the freshman and sophomore years. The Honors Student Handbook describes the program's retention policy in full. Will being in the Honors Program isolate me from other non-Honors students? Although Honors students take Honors-designated classes, these classes do not constitute your full schedule, so you will not be academically isolated from non-Honors students. And although University Honors students have the unique option of choosing to live in the Honors Community residence hall, there are numerous other on-campus residential alternatives available through the Office of Residence Services. Honors students live in nearly every on-campus residence community and participate in a wide range of student organizations. How are University Honors courses different from other courses? Are they more difficult? Honors courses and seminars typically focus on cross-disciplinary and compelling topics that appeal to students from many majors. Most courses use active learning approaches over lectures, assigning primary source readings and incorporating opportunities for independent, outside research, or service learning. Generally, Honors courses are not more difficult than other courses; they are just formatted differently. The small class size allows for deeper discussion and critical thinking. Can I live with other Honors students? In addition to many other residential options on campus, Honors Program students may request to live in the Honors Community, a state-of-the-art building featuring 384 beds in three separate wings. All rooms are doubles arranged in suites with a bathroom in the middle. Each room has a microwave, refrigerator, sink, and high-speed internet access. All floors are coed. The building also has a classroom and a 25-station computer lounge, which is available to residents for personal use. The convenience store, lounge and meeting space, common kitchen, fitness center, and coffee shop are also attractive features. For more information, please visit the Residence Services website. What are the requirements to graduate with University Honors? Requirements differ depending on the Honors Scholar designation you choose to pursue. University Honors Scholars and Departmental Honors Scholars complete coursework and an Honors project; General Studies Honors Scholars complete coursework and have a GPA requirement. For details on the requirements for each, review the Honors Degree Designations web page. Will I receive any special recognition as an Honors graduate? Beginning in Fall 2012, students who have earned an Honors degree designation are recognized twice each year--December and April. A December event recognizes summer and fall graduates; the April event recognizes spring graduates. Honors graduates receive a certificate and the University Honors Program medallion to wear at the university's commencement ceremonies. Are there scholarships available for Honors students? The Honors Program offers approximately 50 Competitive Honors Scholarships to incoming freshmen each year. These are all renewable, four-year awards, which range in value from $2,500/year to full tuition, fees, room/board, and books, and are in addition to other awards you may receive from Wright State, up to the total cost of your education. 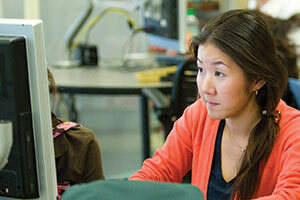 The submission deadline for the Competitive Honors Scholarships is February 15 each year. We also offer a variety of scholarships for continuing students. Information on these awards is available in the Honors Program office and on the Office of Financial Aid website. Students interested in national scholarship opportunities should visit the National Scholarship Resource Center website and then contact the Honors Program office. How many students enter the Honors Program each fall? The Honors Program welcomes approximately 300 incoming first-year students each fall. Current Wright State students and those transferring from other institutions may also apply for the Honors Program at any time throughout the year. May I come to campus and talk to someone about the University Honors Program? Can I visit an Honors class? All students interested in Wright State are encouraged to visit the campus! To set up a campus visit, contact the Office of Undergraduate Admissions at (937) 775-5700. After your campus visit is scheduled, contact the University Honors Program at (937) 775-2660 orhonors@wright.edu. We can arrange a time for you to visit with one of our staff or a current Honors student, as well as visit a class, depending on the timing of your visit. This tab is a resource area for first-year Honors students who will be entering Wright State Fall 2018. Please refer to these documents for information about the University Honors Program, Honors degree designations, Honors courses, program policies, and frequent questions first-year students encounter. For more information, please contact honors@wright.edu or stop by 243 Millett Hall when you are on campus. Honors First-Year Seminars (UH 1010 or CS 1030) are a great way to get started in the University Honors Program. These one credit-hour seminars count as one Honors course, with special-interest topics, pre-professional and major-related topics, and interdisciplinary themes. Honors sections of Core courses and Honors-specific courses that fit into your Core requirements (UH 2010 is an Arts & Humanities Core course and UH 2020 is a Social Sciences Core course). Want to learn more about taking an Honors section of a Core course? Check out a short video introducing you to what happens in an Honors section of WGS 2000. How do I get started in Honors? How do I identify an Honors course on my schedule? How do my AP classes figure into my credits? What do I do my first semester as an Honors student? What are my responsibilities as an Honors student?